In 1974, Dollar Brand (now Abdullah Ibrahim) released the song Mannenberg – Is Where It’s Happening in reaction to forced removals. It became an unofficial anthem for the anti-apartheid struggle, demonstrating how artistic response may reveal the power of place in times of crisis. 21 years into South Africa’s democracy the spatial legacy of apartheid remains. The art sector is part of this landscape, and is still primarily anchored in the affluent City Bowl. In response to this, the African Centre for Cities, supported by the National Lottery Commission, developed Public Art and the Power of Place, which was a public-facing art project aimed at exploring the significance of place in Cape Town’s townships. In 2015-2016 seven projects were provided a grant to produce art projects that: were developed by township-based artists; offered new perspectives of urban realities through creative means; and had a public dimension (engaged public spaces, included people, concerned public interest, or face the public in a meaningful way). Amasokolari used stand up comedy as a way to explore more serious urban issues and build new comedy audiences in Khayelitsha in the vernacular. Artfricraft used a series of performance and art events in Delft as a means to draw South Africans and foreign nationals together to challenge xenophobia. Ghetto Trek used a range of performances on gang street corners in the Cape Flats as a way to reclaim dangerous spaces through cultural action. 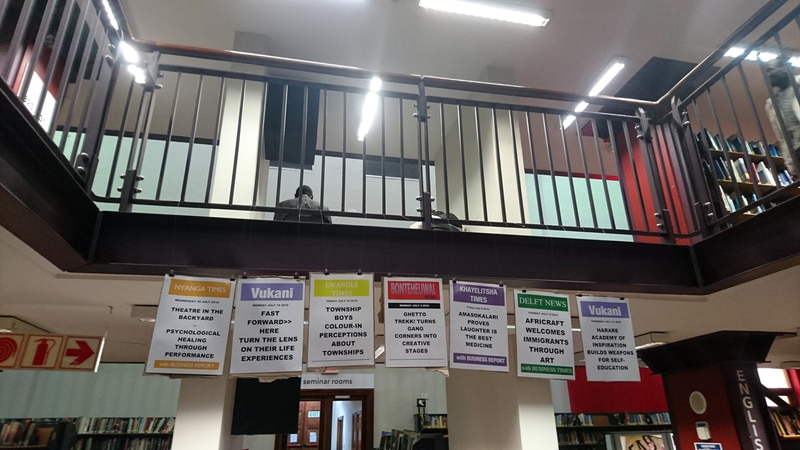 The Harare Academy of Inspiration developed a month-long ‘semester’ of activities exploring alternative ways of learning through culture. Theatre in the Backyard produced a series of theatre productions, stemming out of, and performed in people’s backyards. Township Boys are a group of high school learners who developed a large-scale mural on a local soccer stadium. 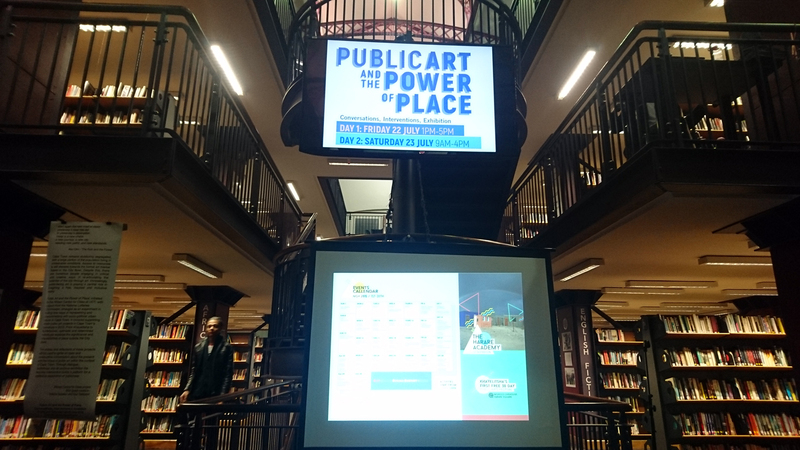 On 22-23 July 2016 the African Centre for Cities, with guest curators Valeria Geselev and Naz Saldulker, hosted the closing event of Power of Place at the Cape Town Central Library. The programme included presentations from the participating artists, presentations from other creative initiatives (Creative Nestlings, Reclaim the City, Ilze Wolff and Kemang Wa Lehulere, uGrand Blaque, Resonance Bazaar, People’s Education, and Bl&CR), and a series of performances.